B&W C5 review | What Hi-Fi? It’s rare that new Bowers & Wilkins kit doesn’t arrive with a sense of anticipation. And more often than not, the products live up, more or less, to the hype. Everything from the packaging of these C5 in-ears to the literature gently whispers ‘premium’. Out of the box they look smart and feel weighty – they’re weighted with tungsten, in fact. In-ears they may be, but thanks to B&W’s ‘micro porous filter’ system, which allows sound to diffuse, they are essentially an open rather than closed design. This should bring sonic benefits. The C5 earphones also have a fresh take on fit. The ‘secure loop’ design adjusts to fit inside your ear to ensure they don’t move around. This works and as a result they also isolate outside noise superbly. The filter makes for a spacious sound, too, with impressive scale and dynamics to classical tracks. There’s punch and power in spades. And bass. Wheelbarrows of bass. At times it’s great, providing depth and detail you won’t find in any rival; but with some tracks it’s simply too much, drowning the rest of the track and making us feel like we’re sat in a boy-racer’s souped-up XR3i. The level of detail higher up the sound spectrum is impressive, but voices can sound lightweight and lacking in expression. We’d like a better sense of cohesion through the frequency range. 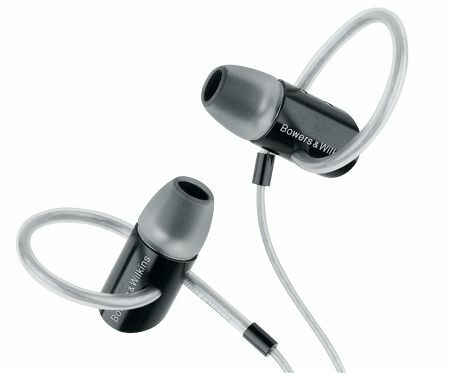 Still, the premium design and fit make for an immersive experience and, with its first pair of in-ears, B&W has done a fine job.